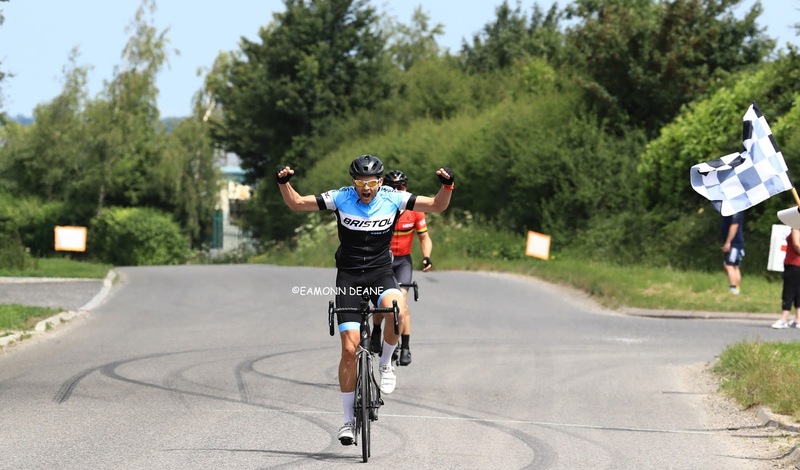 " I cant believe i won to be honest ! 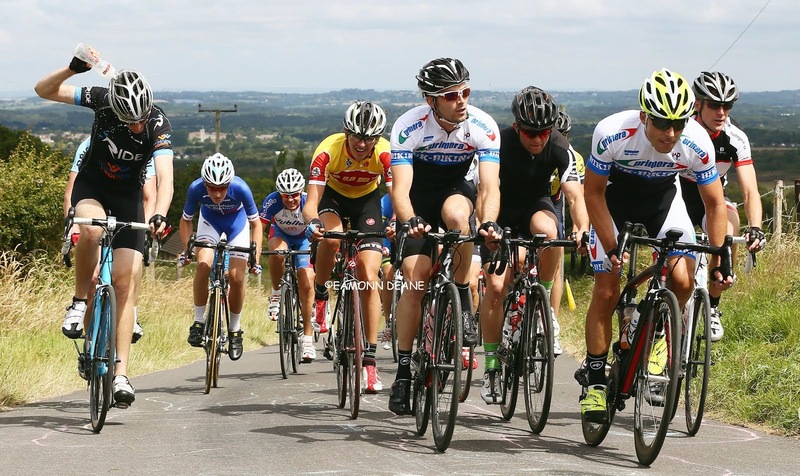 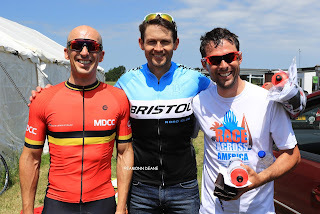 "Simon Ward (Bristol RC) won the Gillingham & District Wheelers Summer road race in only his second event. 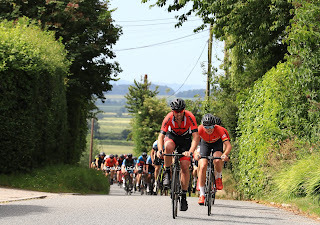 In one of those soft moves that so often work when all meaningful attacks are brought back, Ward and Jason Cox (Mid Devon RC) found themselves off the front on the downhill A30 leg and never looked back. 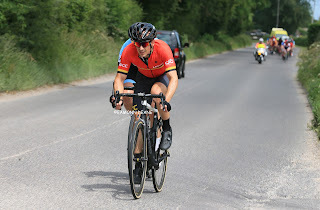 The 42 year old graphic designer from Bristol towed the fading Jones round the final 6 mile lap comfortably taking the sprint. 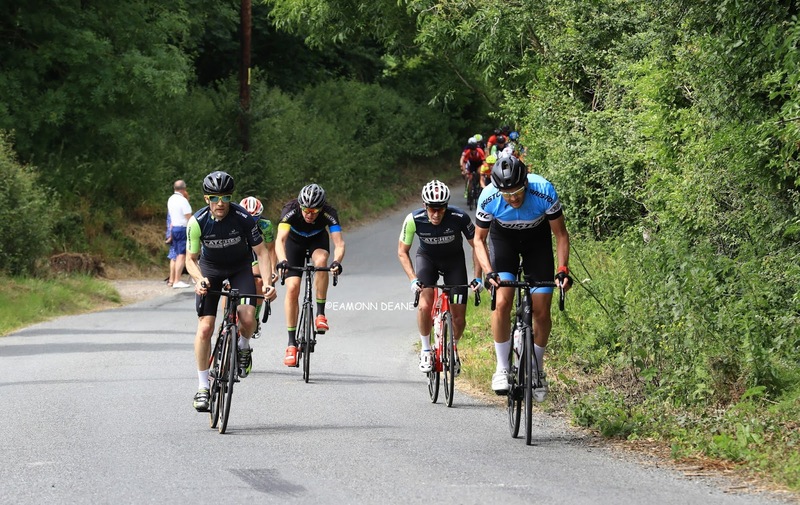 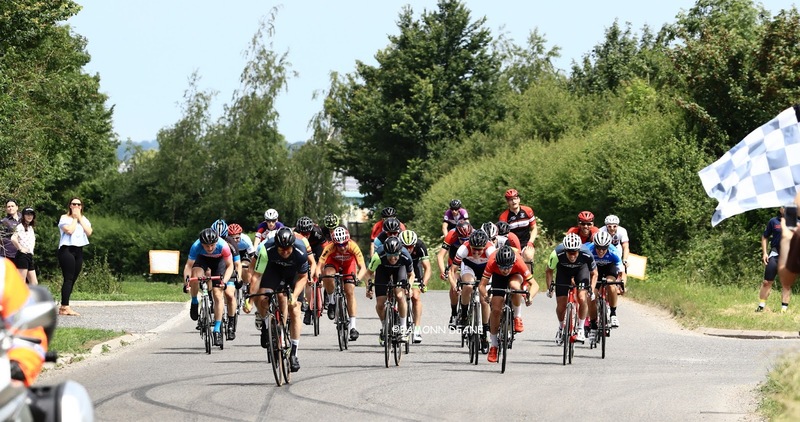 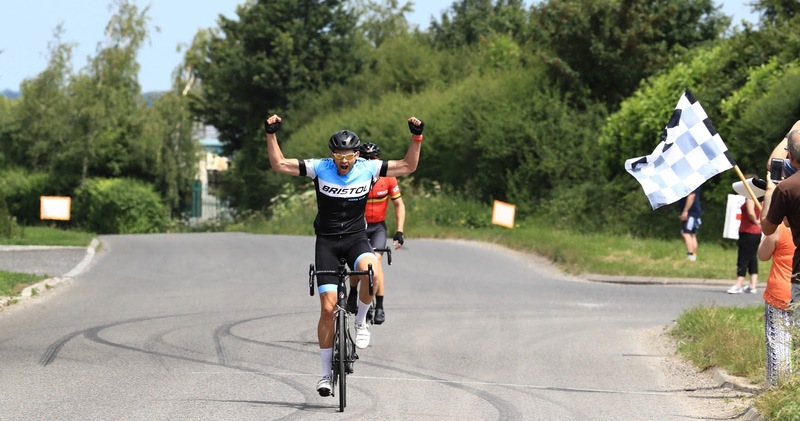 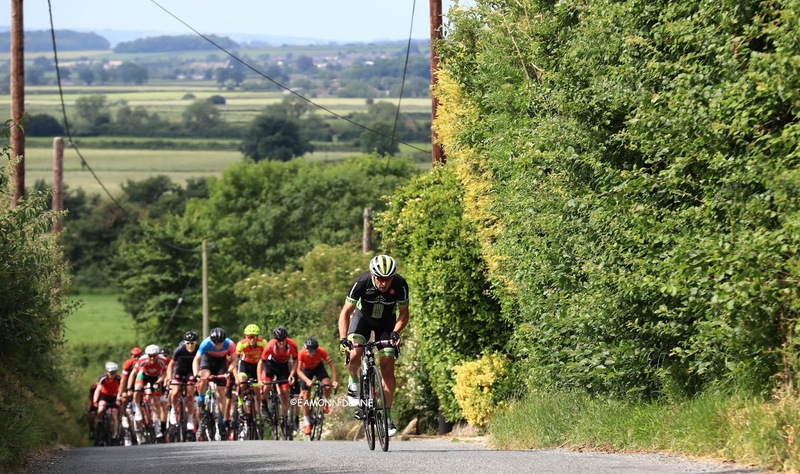 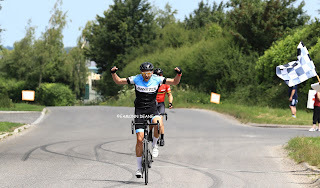 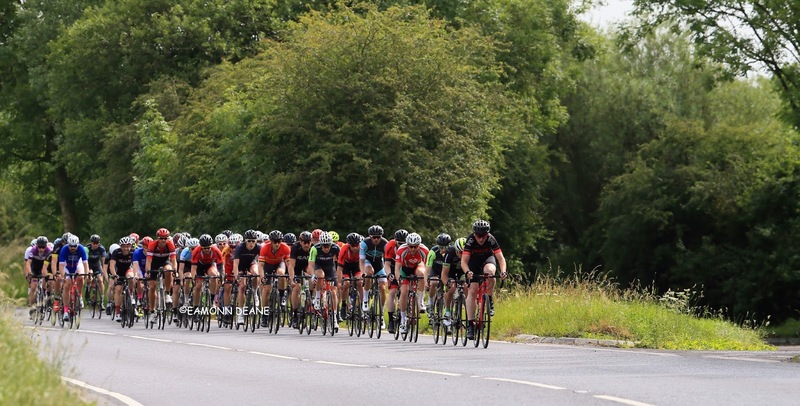 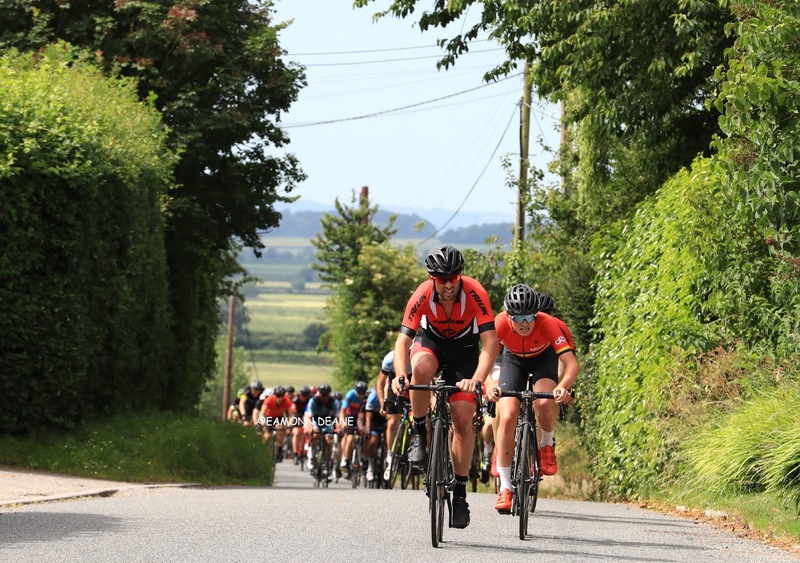 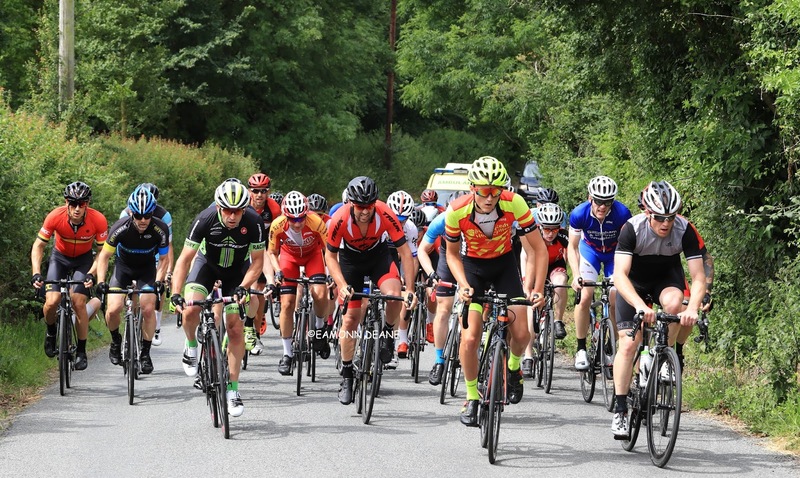 The 50 mile 3/4 category race on the Dorset/Somerset border was run off in sweltering conditions, the fast, flat route interrupted by the narrow climb through the village of Fifehead Magdalen. Kim Little (Merida Factory Racing) tried to break the race early on the climb, stretching the race out through the pretty hamlet but all were back on as the race hit the fast main road. This was the pattern for the race, the make up of the group never quite right to stay away. 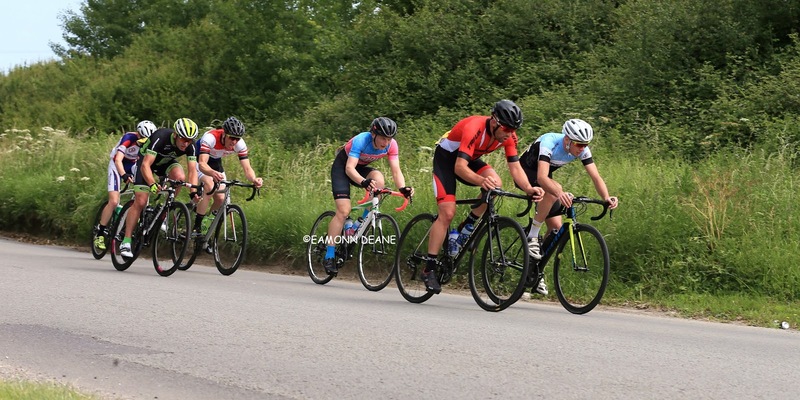 Shaun Cook (Bristol RC), Samuel Holder (DRK Racing),Little, Daniel Wellings (Somerset RC-The Bicycle Chain), Sean Frost (UK-Biking) & James Horton (VC ST Raphael) pulled away on the climb and held a small gap as they went through the start/finish with 3 laps to go. 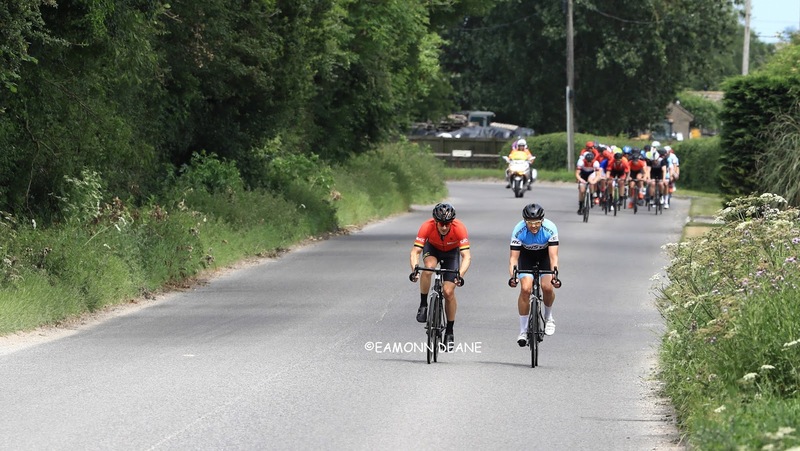 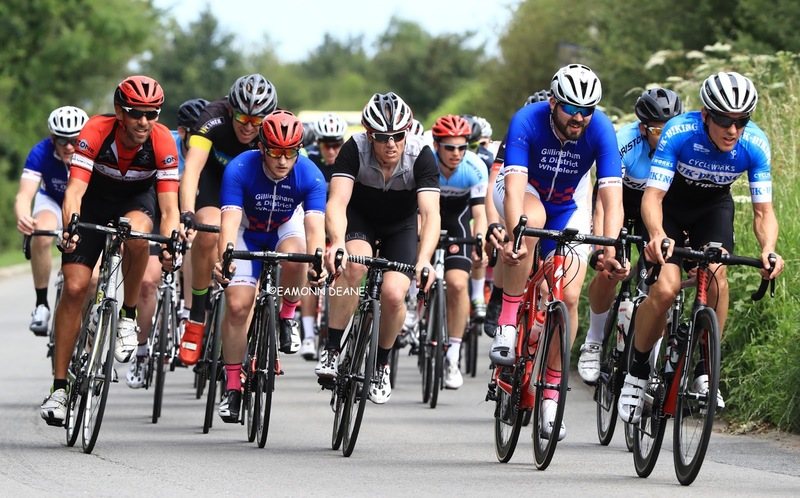 The move looked good but driven by Charles Rees (Gillingham & Dist Wh) & Tom Clements (Off Camber) the bunch made contact at the foot of the hill. It was on the least likely part of the course that the race was decided, Ward & Cox taking advantage of a lapse in concentration as the sun got hotter. " I'm going to have a cold beer this afternoon" said the surpised but happy winner. 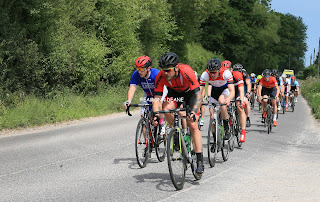 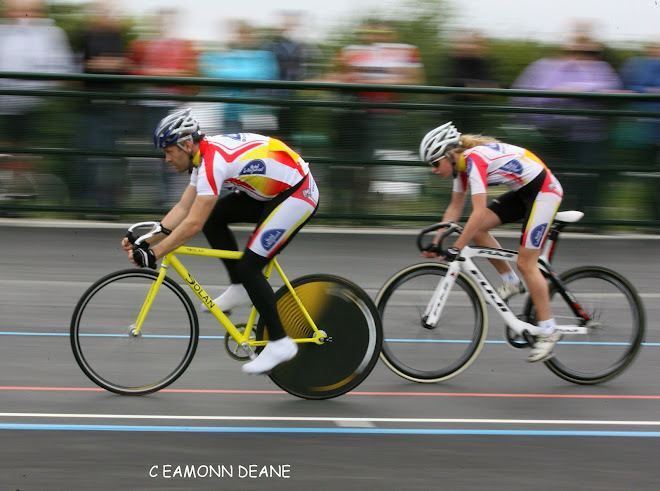 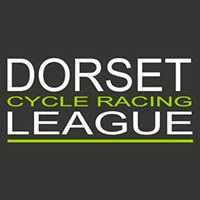 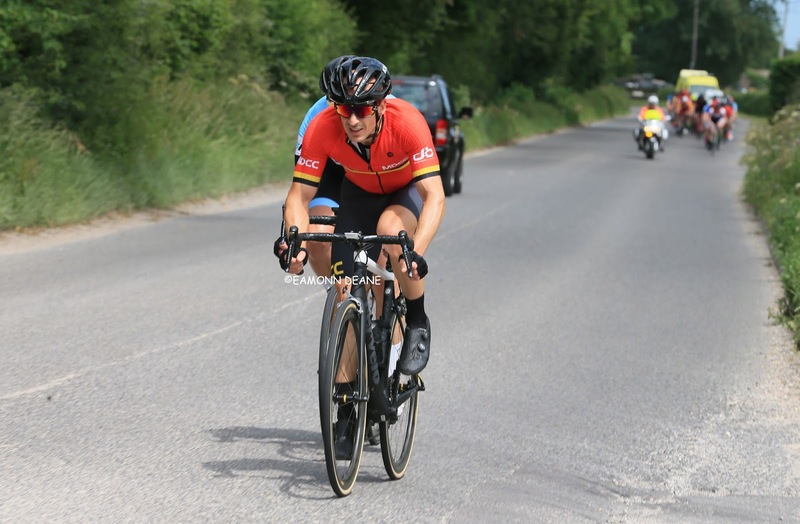 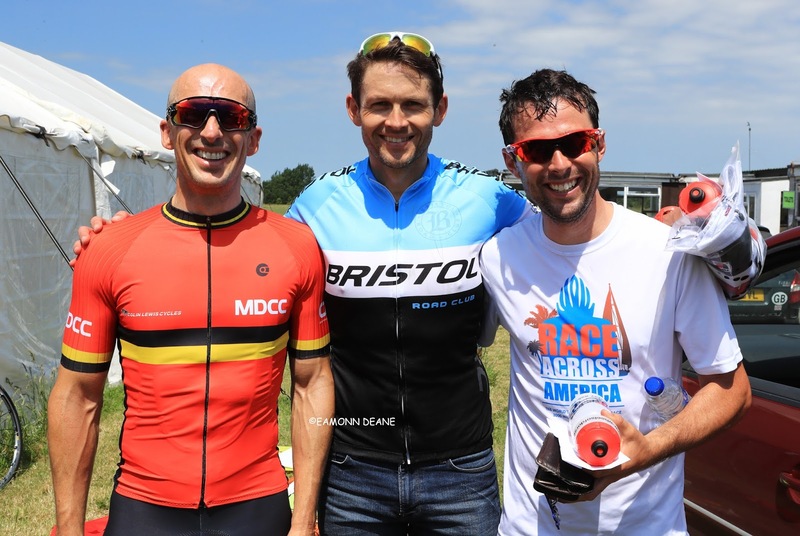 Craig Haslam (Tri UK) & James Horton (pictured) both rode the Poole Wheelers open 10 before dashing up to Hensridge,for the record, Haslam 20.21,8TH, Horton 22.15, 43rd.